See the August round up for last year. I suppose this is the peak month for flowers in the garden so lets start of with some pictures. 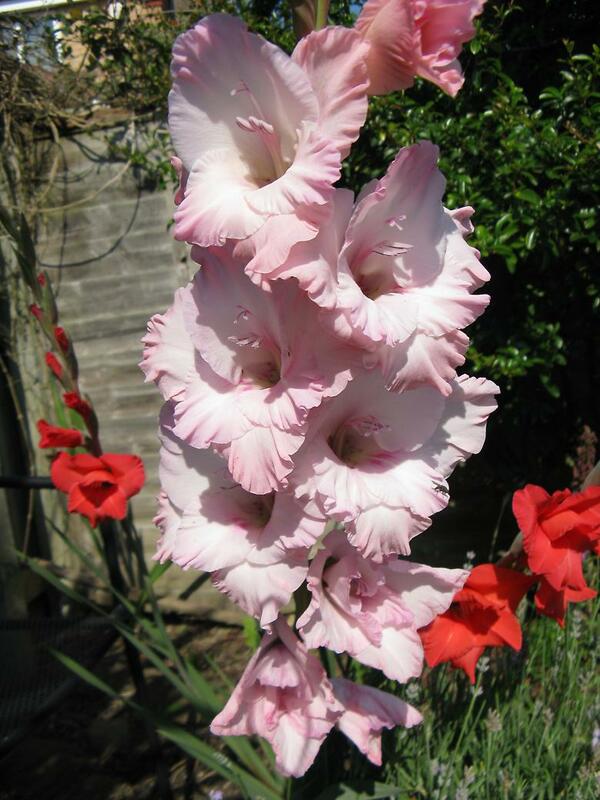 Gladioli : This was one of the 'mixed' selection I bought, that were all red/orange or orange/red. This one stands out for being completely different. 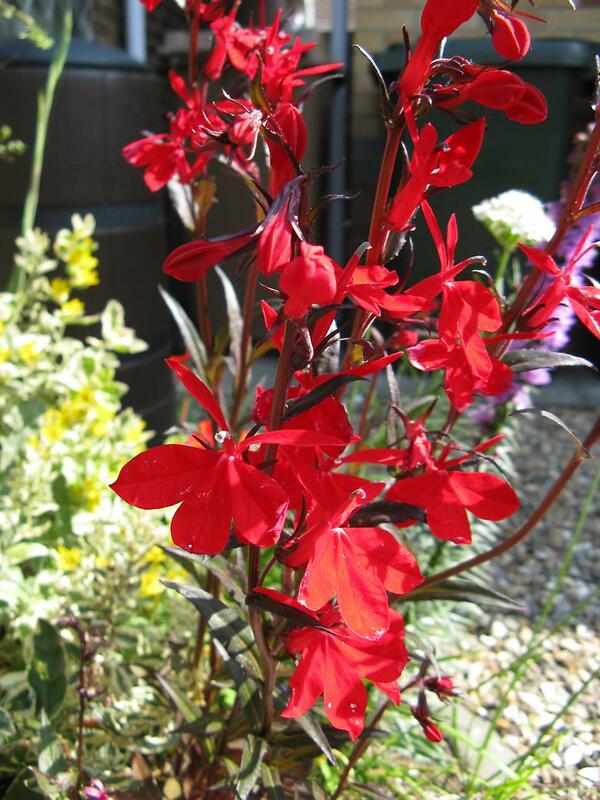 Lobelia cardinalis 'Bee's flame' : The dry weather this summer may not have been ideal for the Lobelia but they have all flowered well enough. This has been perhaps the best. 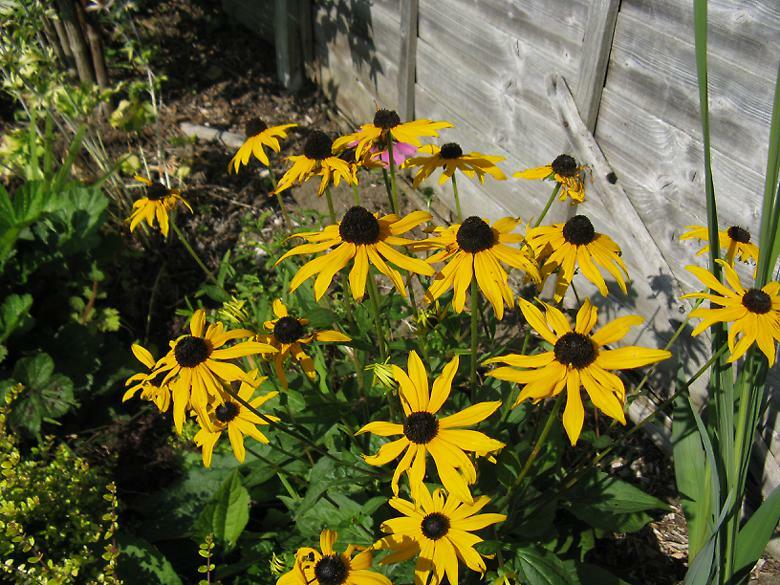 Rudbekia : this has bulked out a lot this year. Strangely the place where the flower stems were last year, is devoid of them this. All the flowers this year are in front (towards the house) of last years. Geranium wallichianum 'Crystal Lake' : This has a lovely flower, but the plant is spread out in among other things and there is only the occasional flower. I'm going to have to think of a good place to put this. 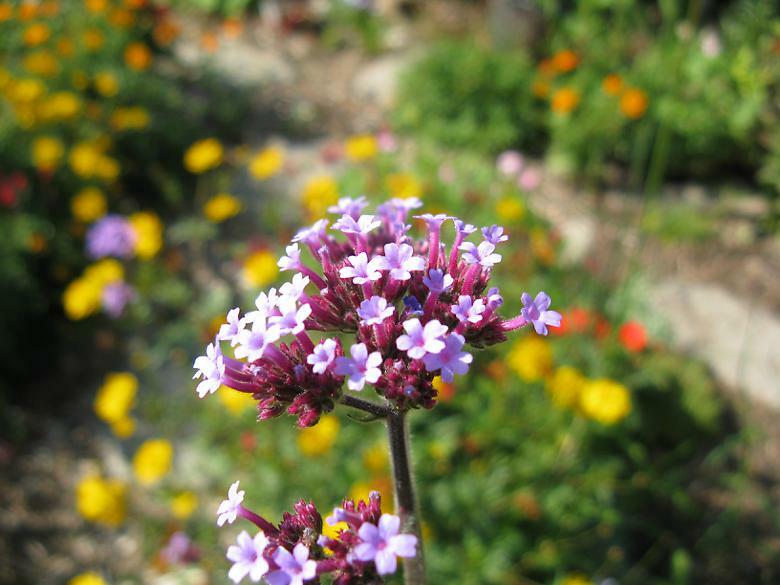 Verbena bonariensis : There were a lot of these sprung up as seedlings where the lawn was dug up and they have grown tall and flowered in this season. The existing plants strangely have not done well at all, and neither have seedlings growing in the existing bed. I am liking them a lot more where they are this year, as they are scattered among the other plants. 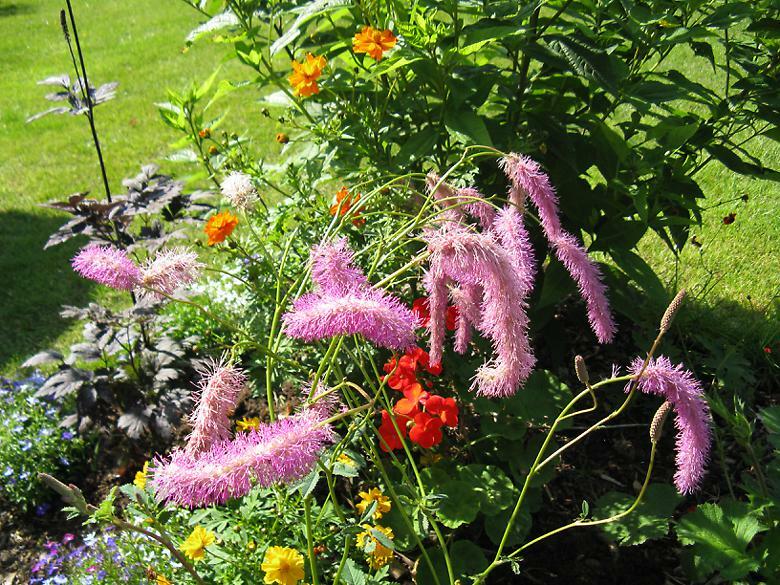 Sanguisorba hakusanensis 'Lilac Squirrel' : Another picture of this which is doing so well, it was only planted at the end of May. 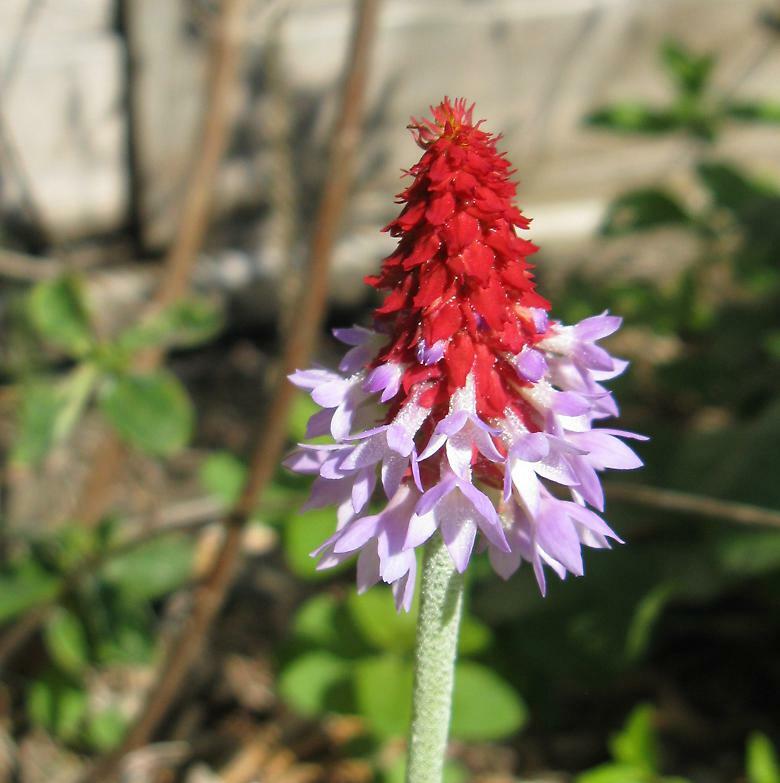 Primula vialii : I was surprised to see another flower on this. Perhaps I shouldn't have been as most of the other primula are starting to flower as well. It is a bit smaller than the previous flowers. 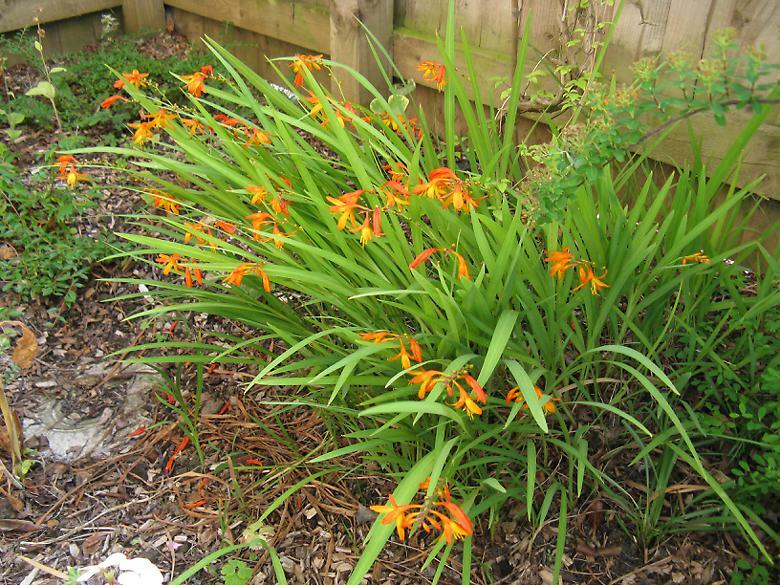 Crocosmia : This was flowering at the beginning of the month. May as well picture it now as this will be its last year. Most of the other patches have gone now. 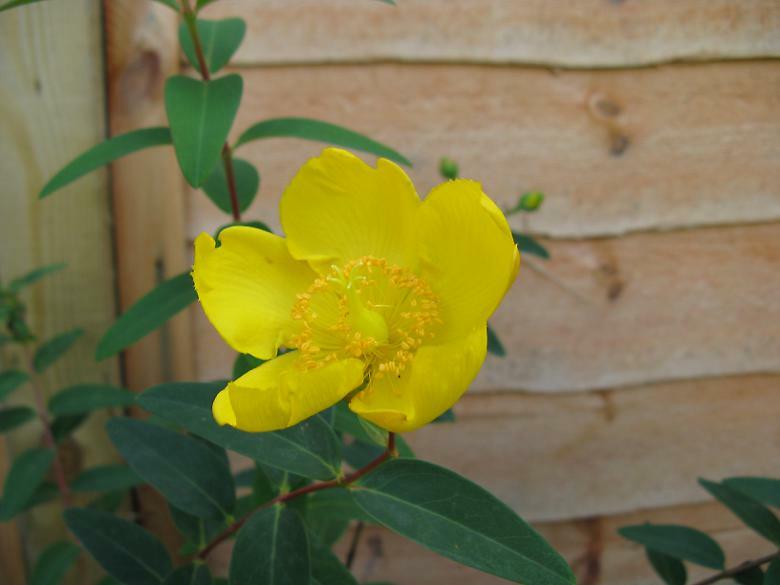 Hypericum : It eventually flowered! 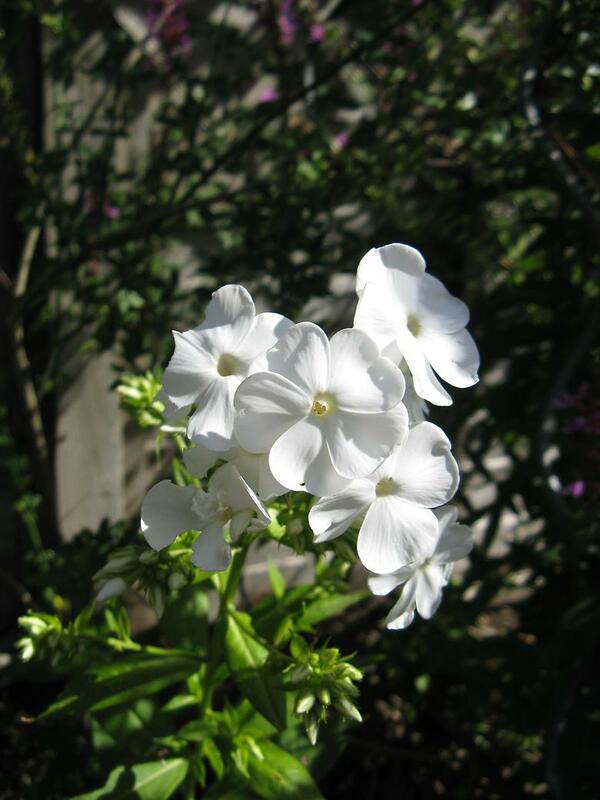 Phlox : The only surviving Phlox from the packet of mixed ones. It has turned out to be white and there is only a single stem, but there are plenty of buds to open. I needed some more space to plant some cuttings, divisions and the new plants I bought so I dug up a small extra area of lawn. The soil was very dry and compacted in this area. 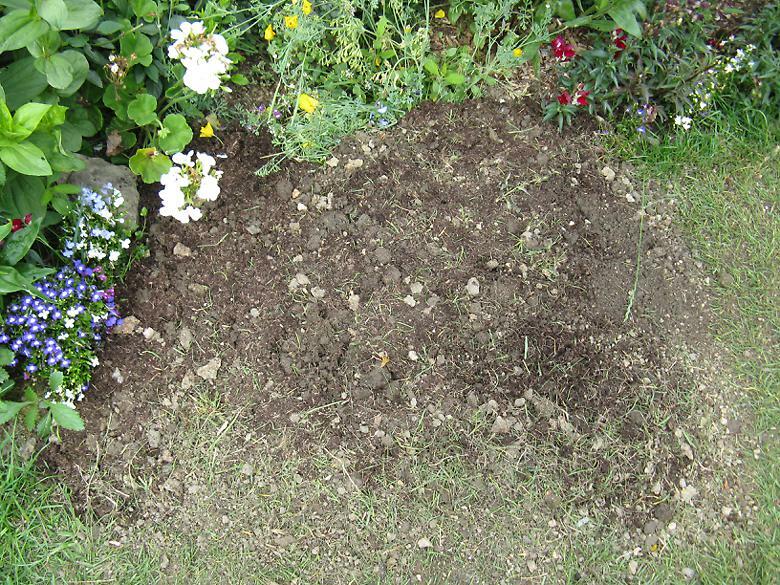 It was mostly dug with a mattock and a chisel pick. There was a thin layer of compacted stones and then thicker clay below that. It took a long time to dig even this small area (although it would have probably been easier to do a larger area) and I got not much more than a spade depth down. Only one worm was seen. 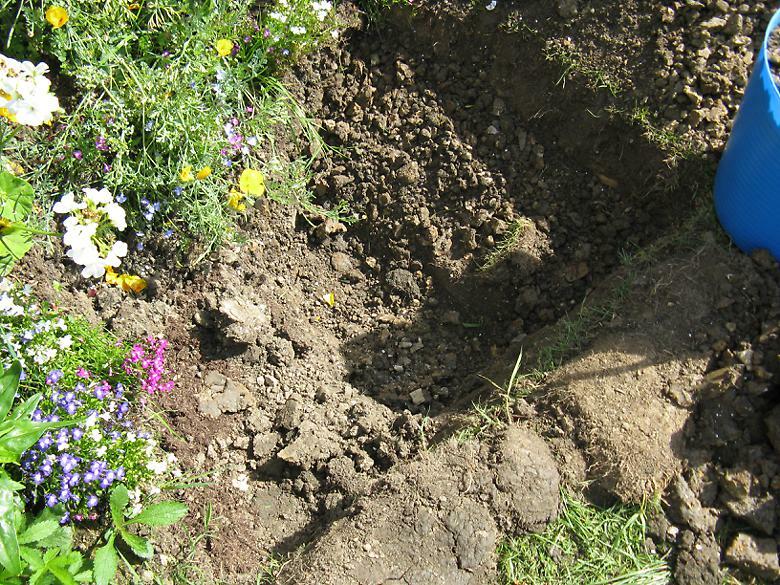 The turf was placed at the bottom of the hole and the rest of the soil broken up as much as possible and replaced. I added some compost and chopped it in. A few of the larger stones were removed. This may be a temporary holding area - there are a lot of annuals and so although the existing beds may look full at the moment, once winter sets in gaps will be opening up and some things I am growing here may be moved into them. I've managed to mostly stick to my plan of not buying summer plants during the year apart from replacements. Anemone 'Splendens' this is kind of a replacement for my pink Anemone which has never flowered yet. I moved it much earlier in the year and it died right back. I've not managed to completely kill it as it has two small leaves. Actaea pachypoda 'misty blue'. This is a straight replacement for the one that died. 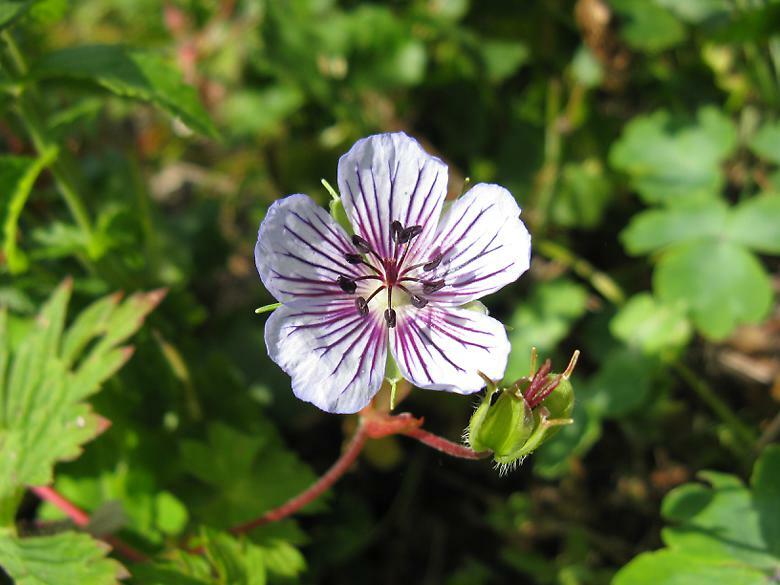 It is a much smaller plant which may make it easier for it to establish. 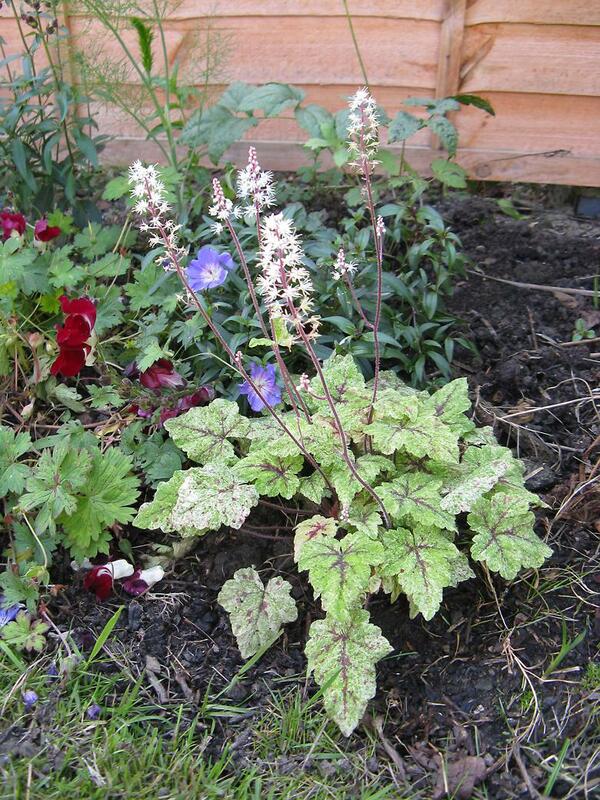 Tiarella 'Mystic mist'. Adding to my Tiarella collection with this interesting variation with leaves that look a bit like they are frosted with a fine layer of snow. Although it is a spring flowering plant it has some flowers on at the moment.